Use Salesforce as a data source – How can we help you today? Account: Ensure API access is enabled in your Salesforce account. Note: This guide assumes that you already have an active Salesforce account. Click the Sign In to Salesforce link. You have multiple options for retrieving data from Salesforce. 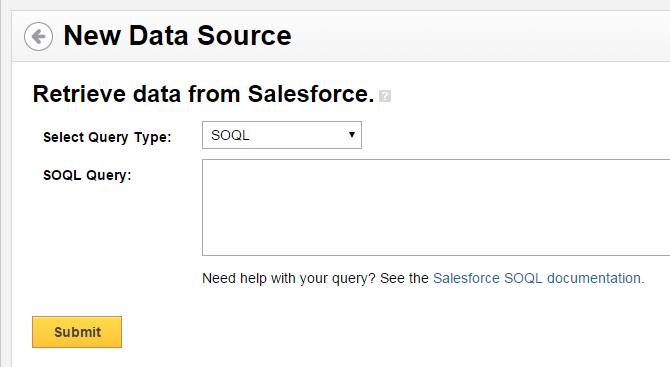 Enter a SOQL query and retrieve data in JSON format. The Salesforce reports option allows you to access all of the reports you’ve built in Salesforce. You are able to access each type of report available in Salesforce: tabular, matrix and summary. Use the second drop-down menu to choose to retrieve data in CSV or JSON format. Choose a report from the list. Scroll down to see your data. Verify that this is the data you want and click Continue. Name and describe your data source. Determine the refresh rate of your data source. Note: The Detailed CSV Data option returns a maximum of 2000 rows. Not getting enough data? 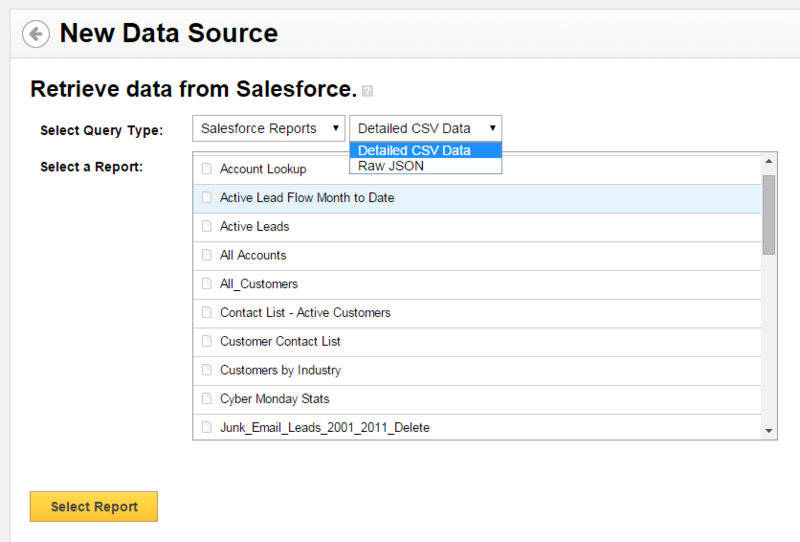 See Troubleshooting Salesforce CSV reports. At query type, select SOQL. Enter your SOQL query into the text field in Klipfolio. You can use the following queries to retrieve data from your Salesforce account.